MacGregor, part of Cargotec, is one of partners participating in the Finland-Singapore Maritime Innovation camp, which has been designed to accelerate developments within the maritime industry and create value for stakeholders. 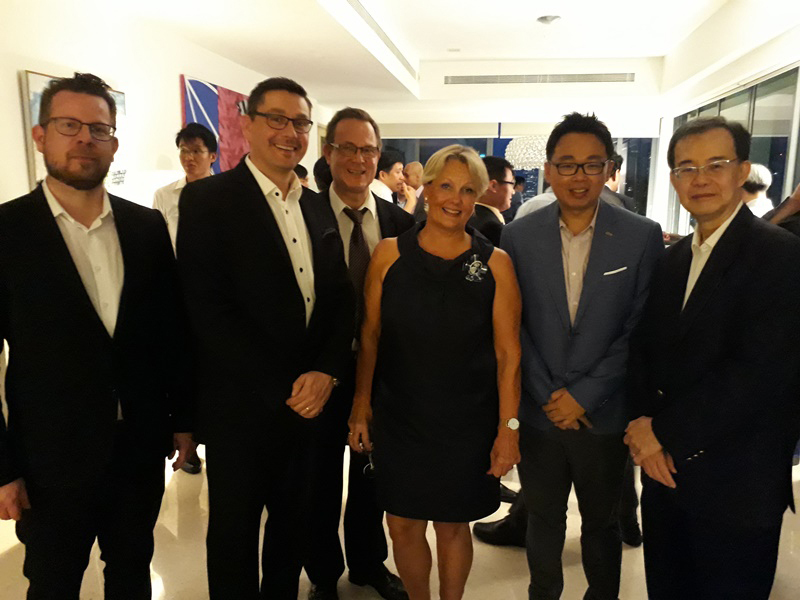 It will take place in the third quarter of 2018 in Singapore and was announced on 24th April during the Singapore Maritime week by the Ambassador of Finland to Singapore, HE Paula Parviainen, at the reception organised by the Embassy of Finland, Turku Business Region and MacGregor. "MacGregor is no stranger to industry and university collaborations, and we have multiple ongoing collaborative projects," says Magnus Sjöberg, Senior Vice President, Cargo Handling at MacGregor. "We encourage knowledge sharing inside our organisation and building relationships with universities and together identifying interesting focus areas for innovation to bring value to our customers and other stakeholders." During the innovation camp, challenge will be presented to students by the corporate partners to the University of Turku (UTU) and the Singapore Maritime Institute (SMI), namely MacGregor (Finland) and PSA Corporation (Singapore). The students will solve the given challenge during the multi-day session facilitated by UTU and SMI. MacGregor understands the importance of collaboration and co-creation with stakeholders, like universities, to innovate and develop solutions that benefit the maritime and offshore industries. "Research collaboration is important because of the wider perspectives it provides," says Janne Suominen, Manager, Offering Development, MacGregor Cargo Handling. "In our daily operations we tend to be focused on technical details, while students can consider a wider, more general, cross-industrial view without limitations in their ideas. The benefit for universities and students is the possibility to test theories on real life challenges. Universities facilitate situations where new ideas can be created and new questions can be generated, potentially leading to new opportunities," Mr Suominen notes.